Pottery in northern Gaul represents, in terms of types and number, the largest component of funerary offerings. The function of categories and types of vessels from funerary assemblages located in the three tribal areas of the Tungri (Hesbaye), the Atrebates (Ostrevant), and the Neruii/Nervii (Hainaut), are discussed here to inform understanding of vessel use in domestic contexts. 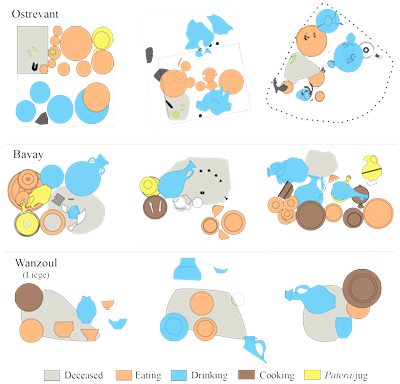 In funerary contexts, we can discern much about how particular categories of vessels provided for particular dining functions, and thus correlate the hierarchy of the graves and the vessels. However, the function of certain forms changes when used in a grave, especially when a container becomes a cinerary urn. 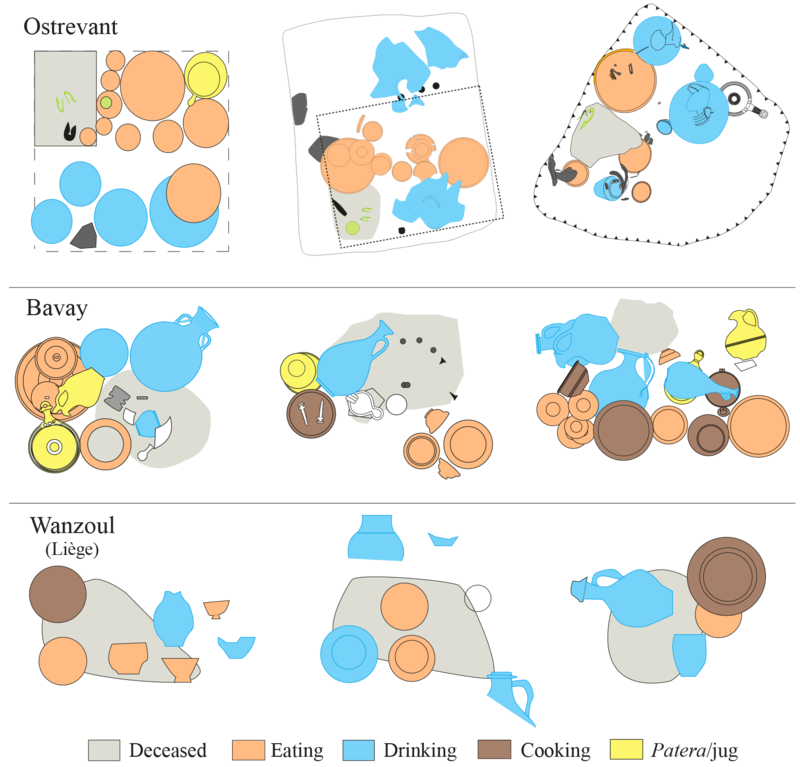 Comparison of quantitative data clearly separates funerary series from domestic context ones and proves that if vessels share an identical function, their assemblage context gives evidence of a choice made for representation and rite. We need to look at vessels in their context of deposition to get a sense of how function varied across different social/ritual contexts.